Green algae slime. It’s common to inland waters and estuaries of eastern North Carolina. But in China, the concentration of cyanobacteria, also known as blue green algae, has become toxic and is compromising drinking water and harming the ecosystem. 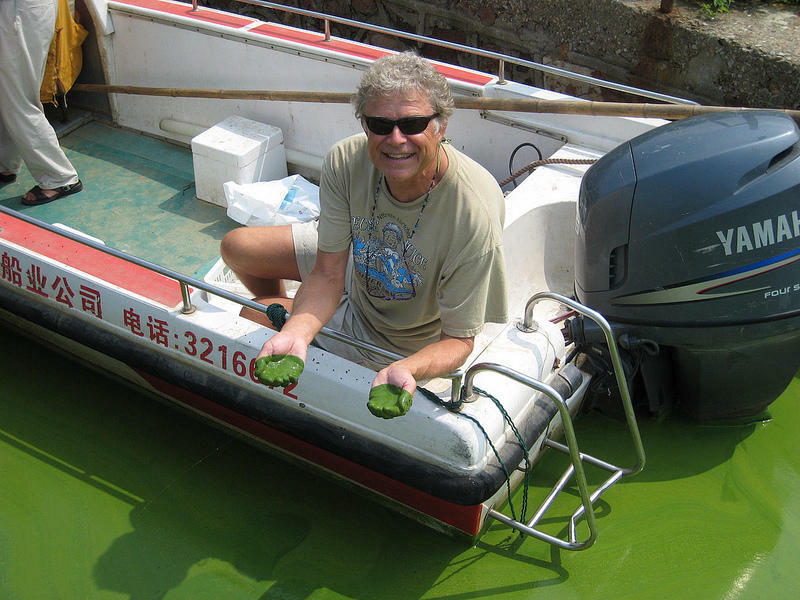 A North Carolina scientist at the University of North Carolina’s Institute of Marine Sciences in Morehead City recently returned from the Taihu basin in China where he studied the cause of a massive algae bloom and how to eliminate it. Professor of Marine and Environmental Sciences Dr. Hans Paerl led an international team of researchers on the two week trip earlier this month. Dr. Paerl was awarded two National Science Foundation grants, totaling $2.5 million, for the research project which focused on controlling the amount of nutrients entering a body of water. 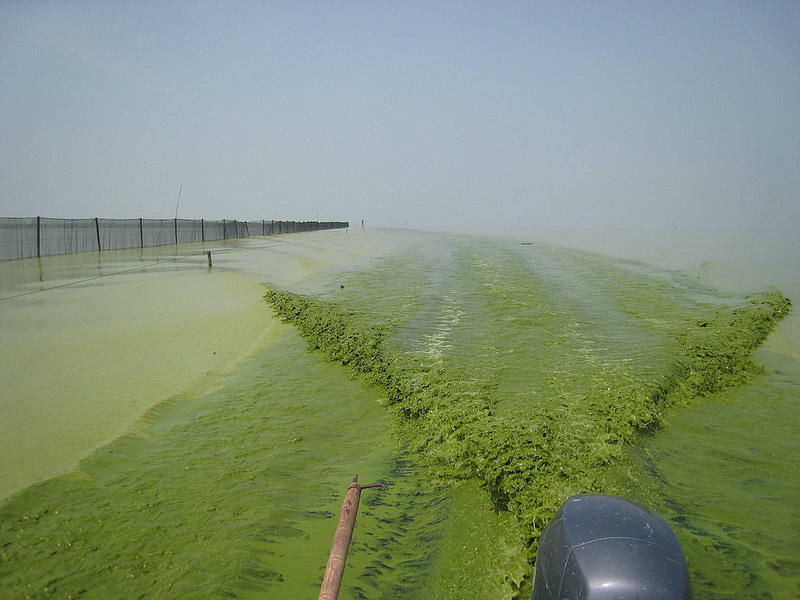 The excess nutrients cause widespread algal blooms like the one in Lake Taihu, the third largest lake in China. While China is booming both economically and agriculturally, there are negative impacts to the fast pace growth. The rapid development of cities, increased use of fertilizers in agriculture, and a favorable climate contribute to the epidemic of algae blooms in large lakes and reservoirs across China. 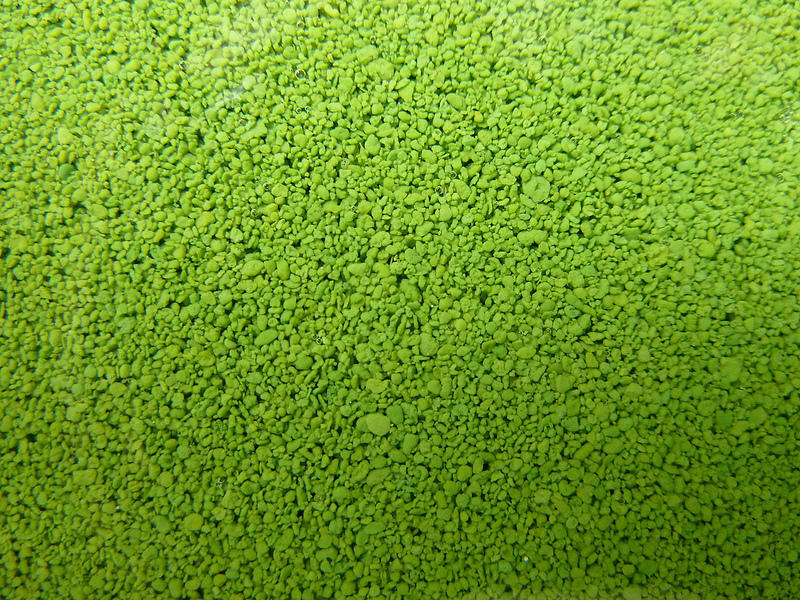 The algae can cause liver cancer and damage to the nervous system. Blue green algae is common to rivers, lakes and coastal bodies of water. But when phosphorus and nitrogen are introduced at high concentrations, the algae rapidly multiply and cause a pea soup green cover. Nutrients are introduced to the environment in a number of ways such as discharged waste water, agriculture, runoff from municipalities, and soil erosion. Dr. Paerl says the only long term solution is to reduce the amount of nitrogen and phosphorus that is being introduced into the body of water. Part of the research in China involves identifying which nutrients are a problem, and how much they need to reduce the nutrient load to begin restoring present blue green algae to normal levels. In 2007, an algae bloom polluted Lake Taihu forcing the Chinese Government to deliver water to millions of people in the region. When the blue green algae is consumed either by drinking or eating fish from infected waters, Dr. Paerl says it can cause damage to the nervous system, liver, and intestines. In addition to health problems, blue green algal blooms also have impacts to wildlife and the ecosystem. North Carolina is all too familiar with the “green slime.” During the early 1980’s, a warmer-than-normal summer and high nutrient loads of nitrogen and phosphorus caused a blue green algae bloom in the Neuse and Chowan Rivers. 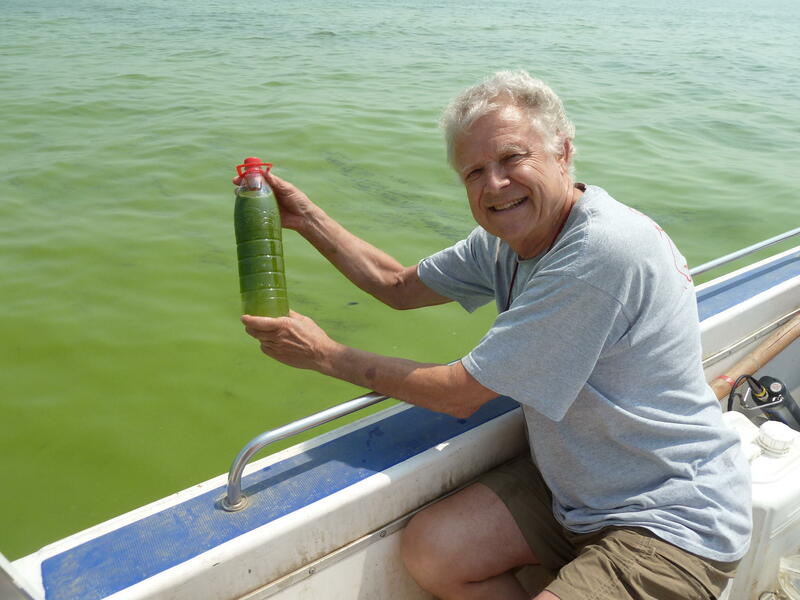 Dr. Paerl’s recalls his first project when he arrived at the Institute of Marine Sciences in Morehead City was to help the state develop nutrient management strategies to eliminate the algae. By reducing the amount of phosphorus and nitrogen being introduced into the Chowan and Neuse Rivers, Dr. Paerl says they were able to get the blue green algae under control. He hopes that some of the same techniques can be used to solve China’s current “green slime” problem. According to Dr. Paerl, global warming is causing blue green algae blooms to become more of a problem. Now more than ever, he says it’s important to what we can to reduce the amount of nutrients that enter a body of water, whether it’s China or here in eastern North Carolina. Dr. Paerl recommends some simple steps, like applying fertilizers sparingly. Some other tips to keep in mind: never dump yard waste in body of water, maintain your septic system, and if you live along a pond, river or lake, consider leaving an un-mowed area at the water’s edge to trap and filter out unwanted nutrients. Dr. Paerl’s research has gained national attention by the Associated Press, the Washington Post, and the Huffington Post. And he’ll be interviewed today around 2:30 on Public Radio East’s New and Ideas during Science Friday about his research trip to China. Dr. Paerl frequents the Taihu region for research. His next trip is planned for Spring 2014. You can see photos of his last visit at our website, publicradioeast.org. I’m Jared Brumbaugh.